All Green Recycling is just a call away if you want to handle electronics recycling in La Canada Flintridge, California in the most environment-friendly way possible. After years of serving the population of California, All Green Recycling has vastly improved e-waste recycling system and. Do you want to earn money from your end-of-life electronic devices? Tap our reliable and credible IT Asset Disposition. We value information - especially confidential ones. That’s why we have a certified Data Destruction service. Sometimes digital wiping of data is not enough. Equipment destruction will surely do the right job that you need. In this generation, making money is a priority. Nothing comes by so easily anymore. But did you know that Electronics Recycling La Canada Flintridge Services can help you earn money? This is what most people or organizations call “cash in trash.” But with All Green Recycling, this is mostly integrated into our IT Asset Disposition service. Old electronics—those that are damaged and those that have been considered obsolete—will just take up space in our homes. But we can’t just get rid of them that easily because dumping them in landfills is not an option—it is illegal in fact. All Green Recycling will help homeowners get rid of electronic items in their homes and earn money in the process. We have a team of IT experts who can repurpose old electronics, which have parts that could be distributed to make another set of the electronic device. The team could also refurbish old items so they would seem brand new. And we have another group of experts that will help market these newly upgraded old IT assets. 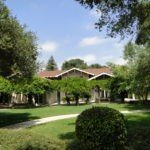 Over 20,000 people live in La Canada Flintridge in California—at least as of the 2010 census. The city has a perfect marriage between rural amenities and urban development. After all, it is home to the Jet Propulsion Laboratory of the National Aeronautics and Space Administration, as well as the Hahamongna Watershed Park. It is also home to the Descano Gardens, which has the largest gathering of camellia species in the US. The presence of the Jet Propulsion Laboratory alone can invoke the image of electronics—from numerous computers and laptops, mobile phones and many more electronic gadgets fit for rocket scientists. But with great technology comes great responsibility, too. All Green Recycling has a Certified Computer Recycling service that is convenient and hassle-free. All you have to do is call to schedule an electronic waste pickup. We will handle all kinds of electronic items that you sway our way: cellphones, iPads, kindles, laptops, personal computers, video games and TV sets. According to an electronics website, every household has at least $250 worth of technology gathering dust. 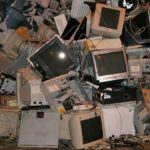 Whether these are old electronics or the owners were no longer interested in them, these items are better sent off sent to recycling facilities. There is also the possibility that you, as owner, will earn from them. Schedule a pickup service or find our near drop-off location in this area.